If you are in need or roof repair or replacement in Macon County, NC, look no further than Burell Built Exteriors! Our professional roofers service both homes and commercial properties, including hotels, restaurants, and more. Give us a call anytime at (865) 385-6926 to get more information about our roofing company in Macon County, NC. Our roofers are proud to specialize in many roofing techniques and materials for your home or commercial building. With decades of experience in the business, we understand many of the problems local building-owners face, from ponding water to mold in the attic. We even provide emergency roof repair, so call our team at (865) 385-6926 anytime, 24/7, for help! 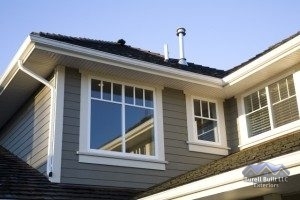 As our business name implies, we also offer home exterior services such as window replacement, gutter installation, and more. Our roofing company in Macon County, NC is here to help with anything you need when it comes to roof repair!